The Straus Historical Society is pleased to announce that Rachel King of Liberty Township, Ohio, has been selected to receive a $5,000 Scholarship. A graduate student of American University in Washington, D.C., Ms. King impressed an independent award committee with her essay and resume, which includes a five-year contract with the Foreign Service as a Pickering Fellow after her expected graduation in 2019. She has proven eminently qualified for the Straus Scholarship Program, and the Straus Historical Society is proud to award this scholarship to Ms. King. The Straus Historical Society Scholarship Program was created with the goal of supporting the continuing education of a graduate student whose professional goal is in the field of public service. 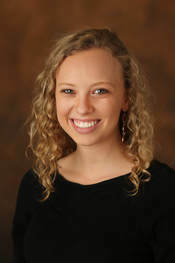 Rachel King is the first recipient of the Straus Scholarship. The Straus Historical Society will be holding a ceremony later in the year to honor Ms. King. Further information will be announced as it becomes available.